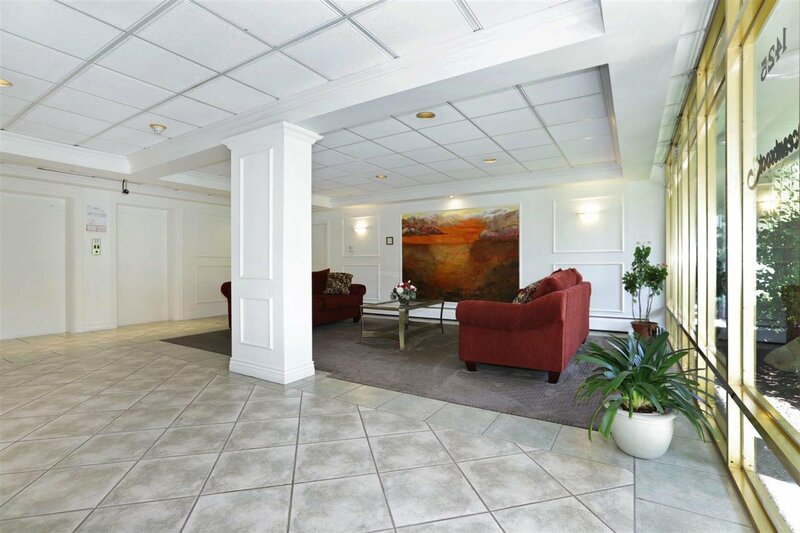 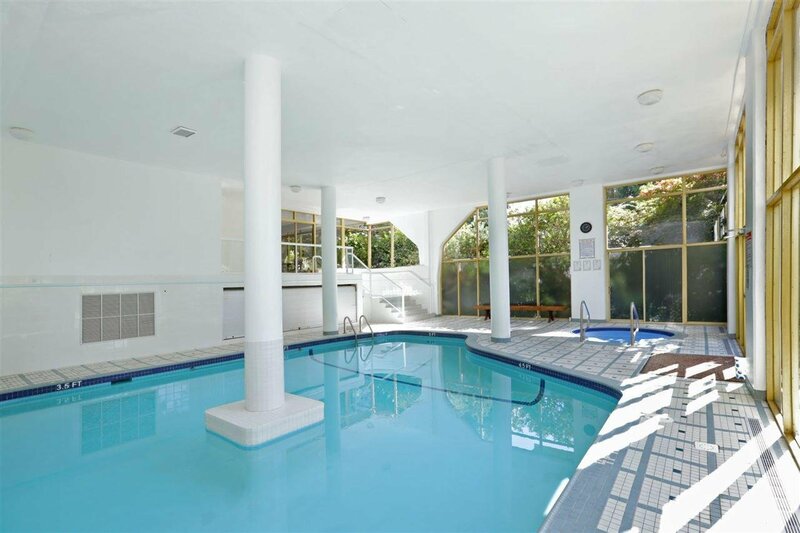 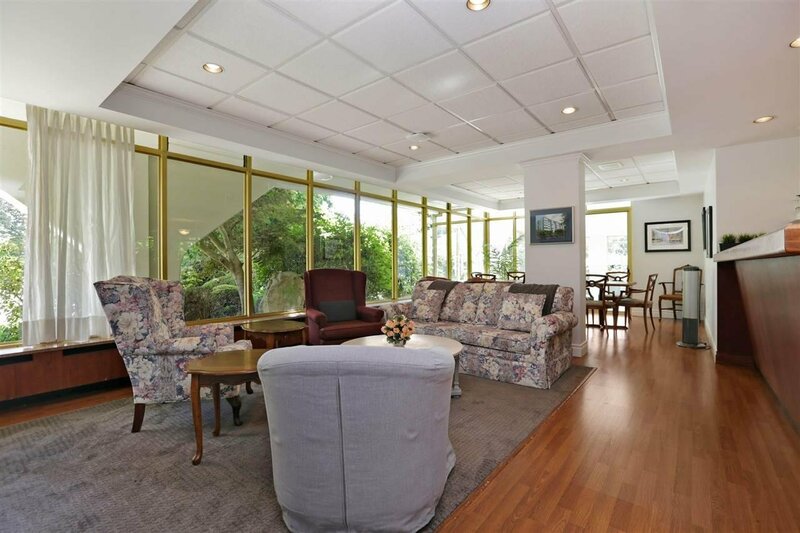 Charming BRIGHT, WEST-FACING 1 bedroom suite at the Oceanbrook in Ambleside. 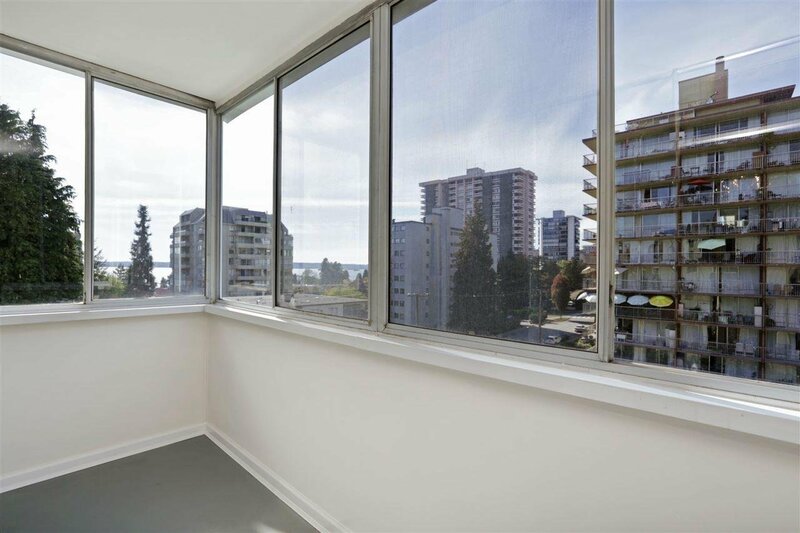 Some VIEWS of English Bay from eating area and enclosed balcony. 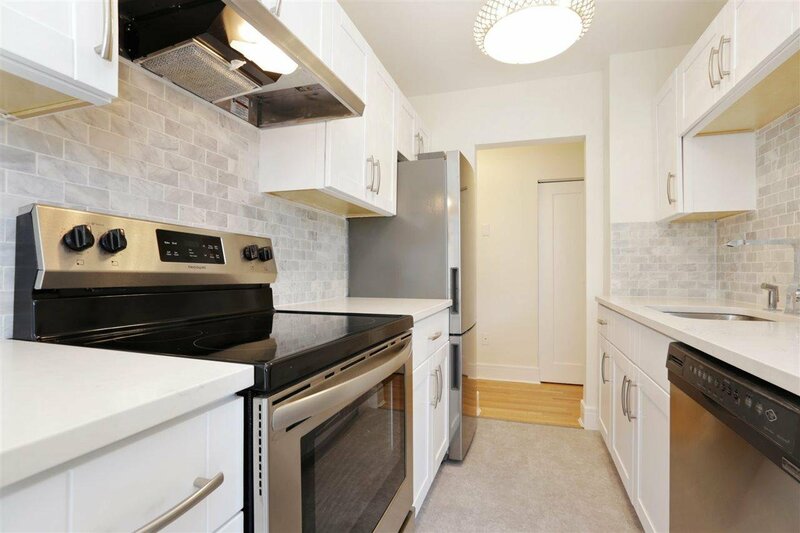 Updates include: NEW quartz counters, marble back-splash, birch shaker cabinets, faucet & S/S appliances in kitchen: new toilet, & vanity in bathroom, crystal light fixtures with LED lighting & new hardware throughout. 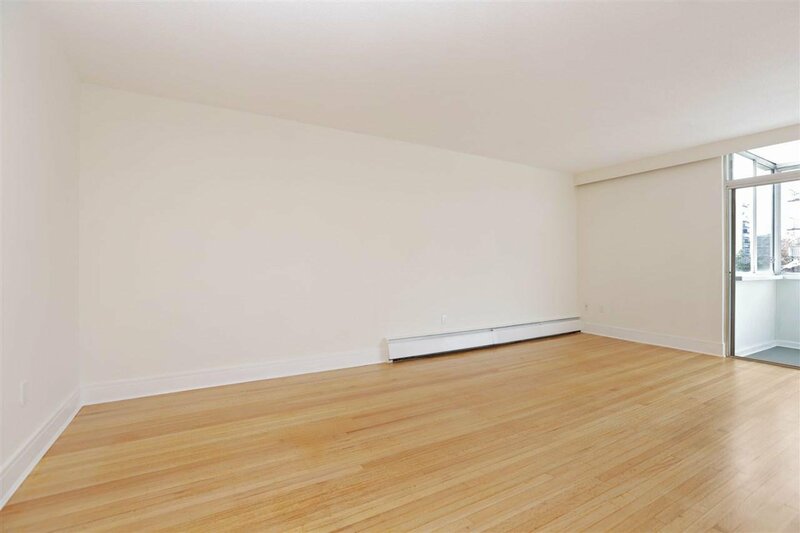 Original oak hardwood flooring. 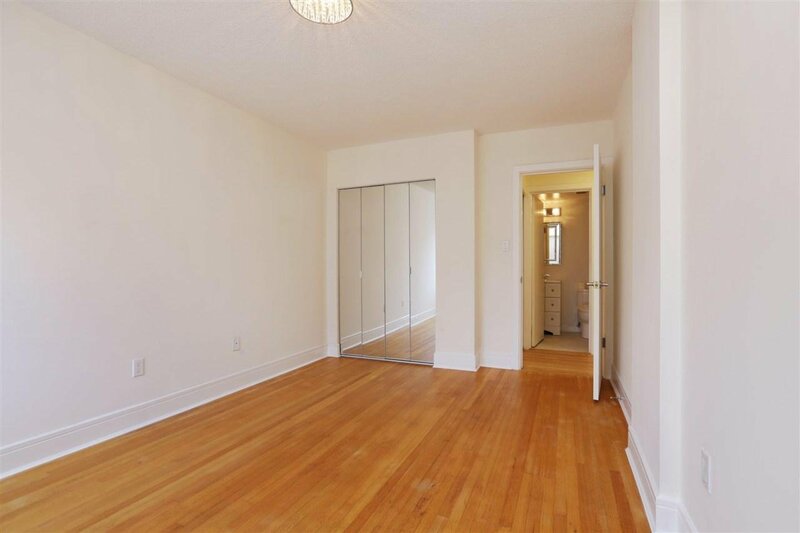 Custom mirrored closet doors in entry & bedroom. 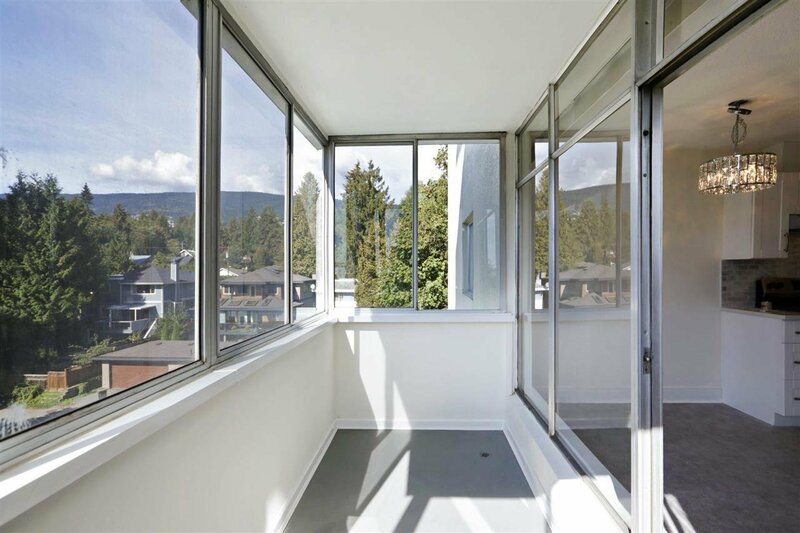 Large enclosed balcony. 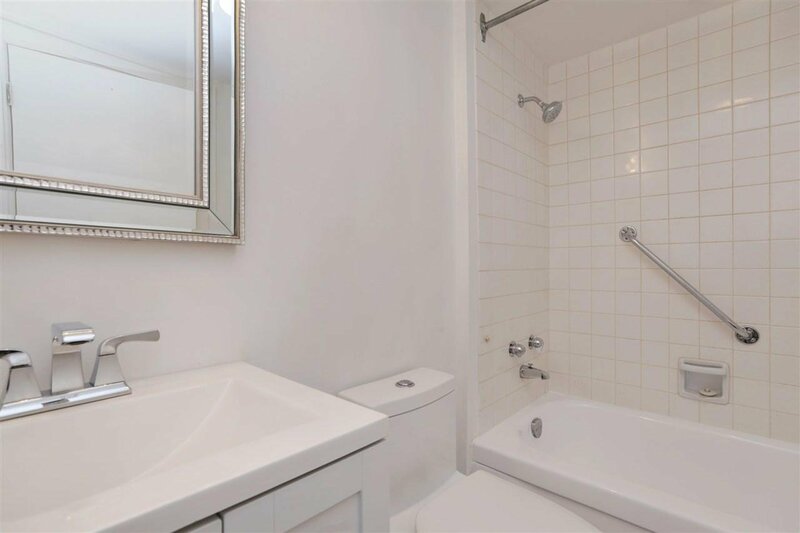 Private locker located a few steps from the unit. 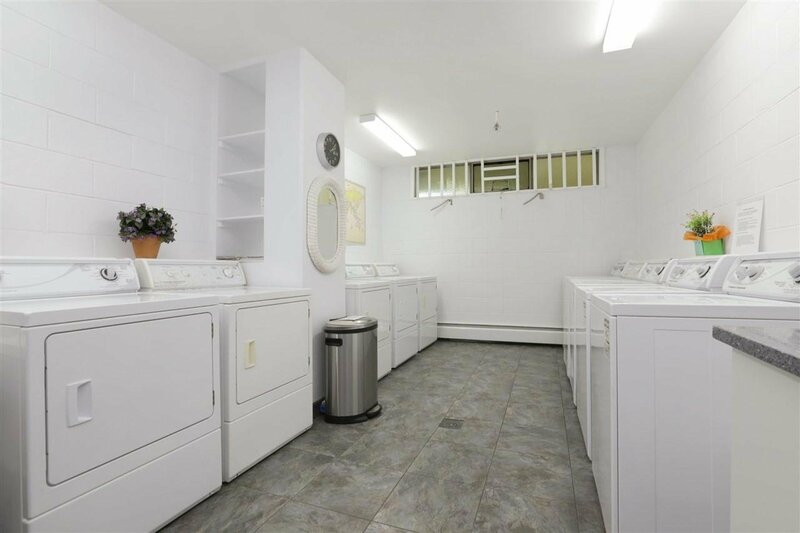 Laundry room on main level, along with a list of amenities incl gym, lounge, hot tub, indoor & outdoor pool! 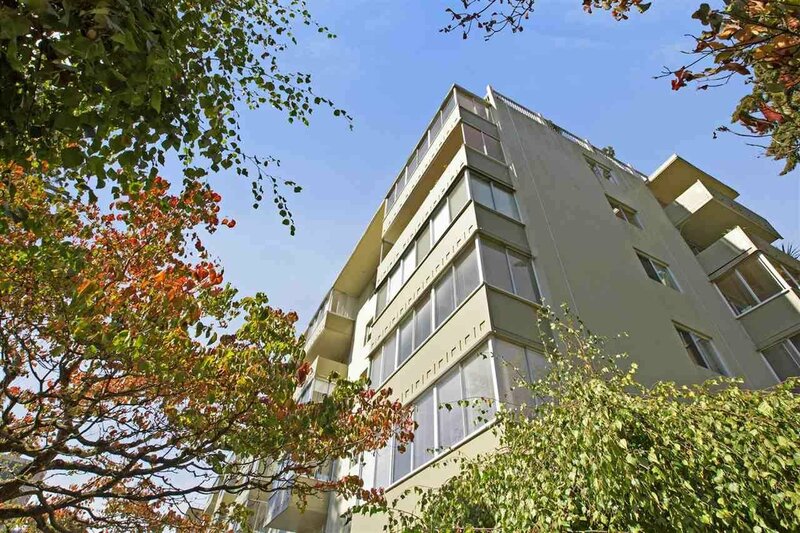 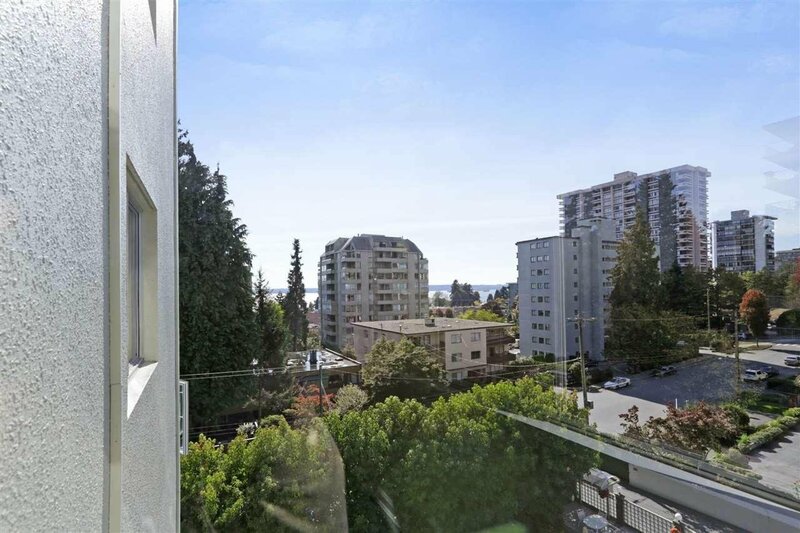 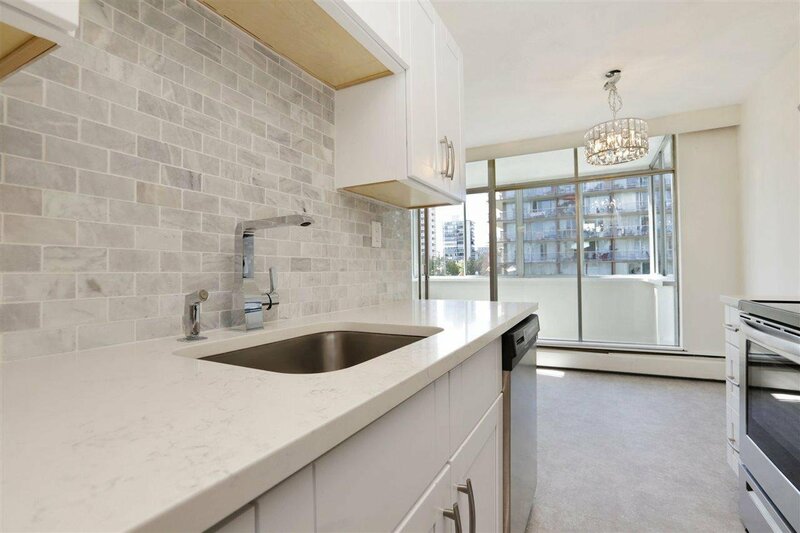 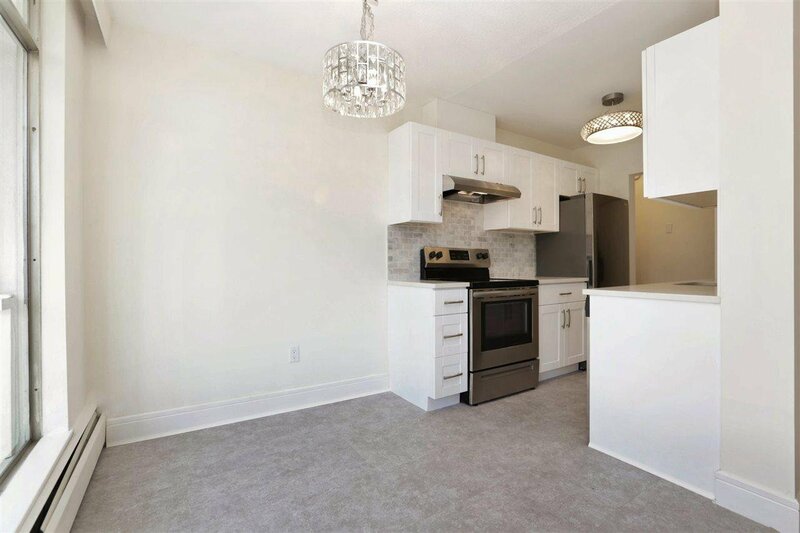 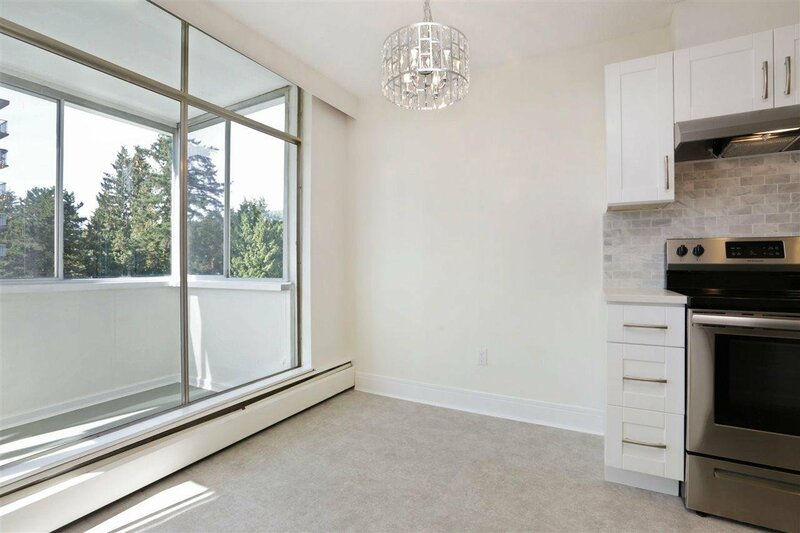 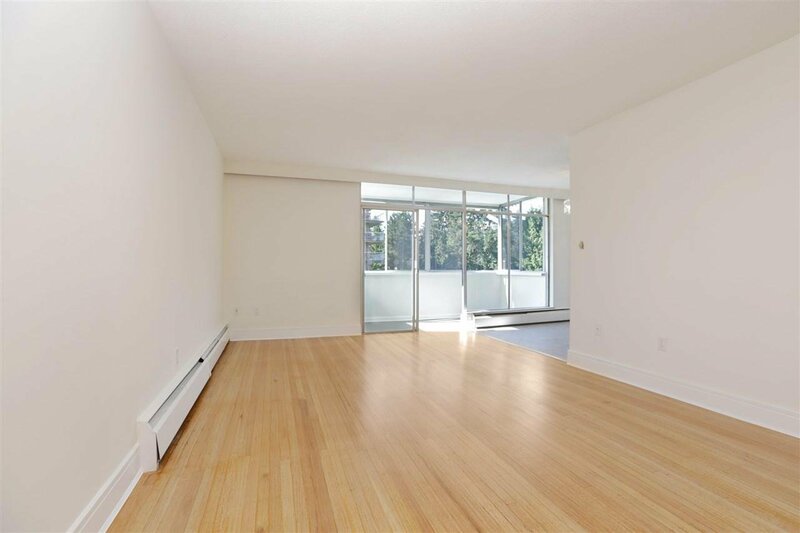 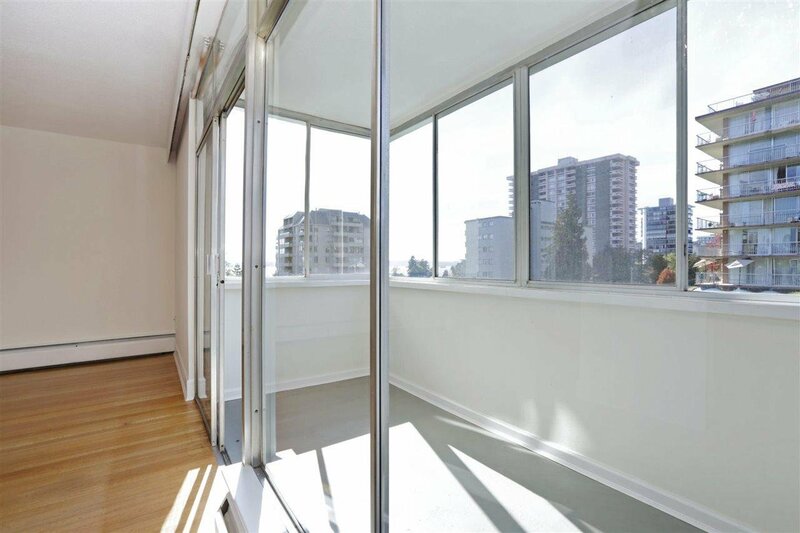 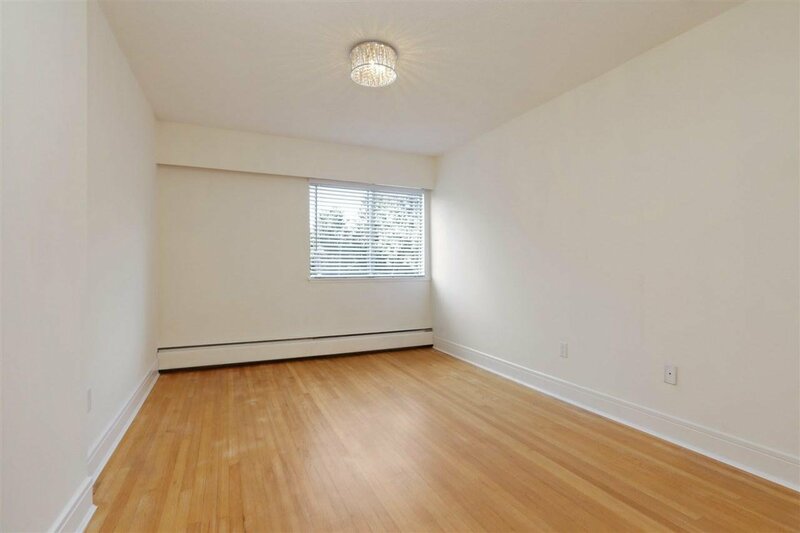 5 min walk to shops along Marine, 10 min walk to Ambleside Park, 5 min drive to Park Royal. 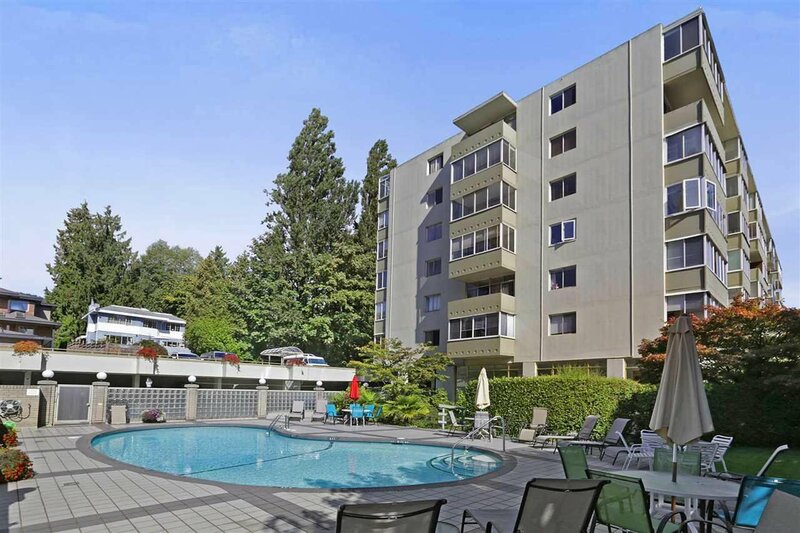 Easy access to Hwy 1. 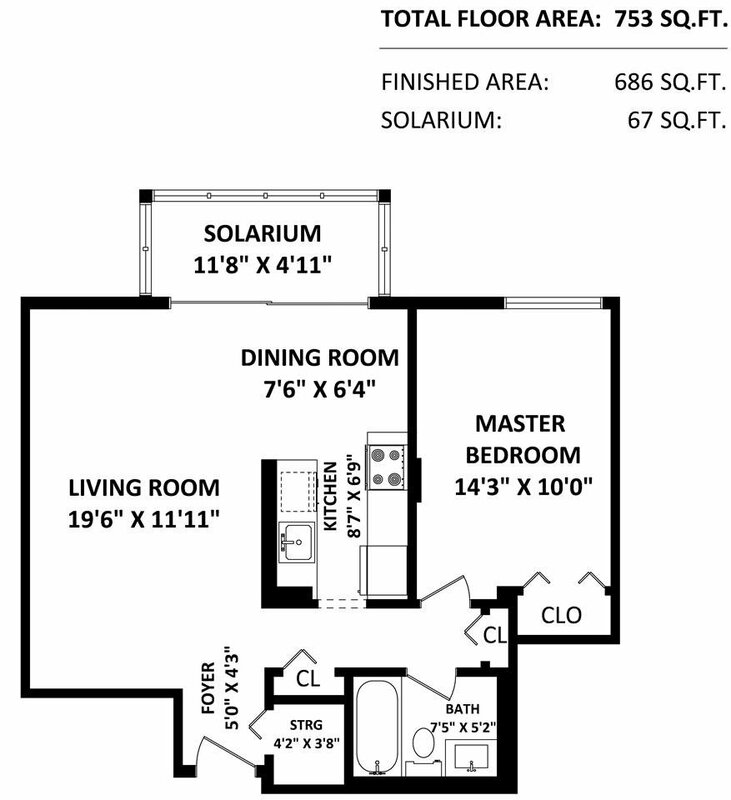 Clean & move-in ready!